"Once upon a time, there was a cigar that lived in a box…"
Following the release of his latest movie, Orson Welles – renowned director and smoking afficionado – receives a celebratory box of cigars. As he indulges his habit, Welles comes to realise exactly what he's smoking: the final creations of Conchita Marquez, Cuba's finest cigar roller. 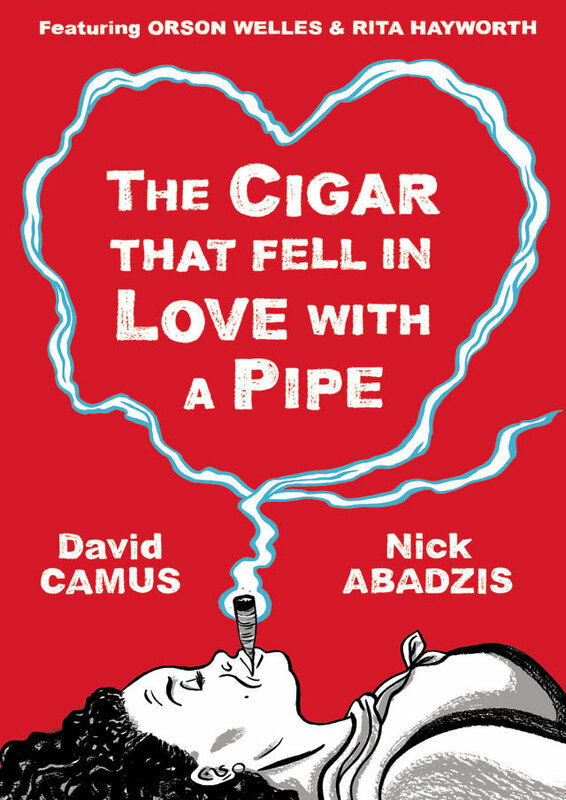 Ranging from the heyday of the cigar industry to the glamorous heights of Hollywood's Golden Age, The Cigar That Fell In Love With A Pipe inventively combines romance, history, imagination and nicotine to ask the burning question: can love triumph over adversity, or does it all go up in smoke? Nick Abadzis was born in Sweden to Greek and British parents and was brought up in England and Switzerland. 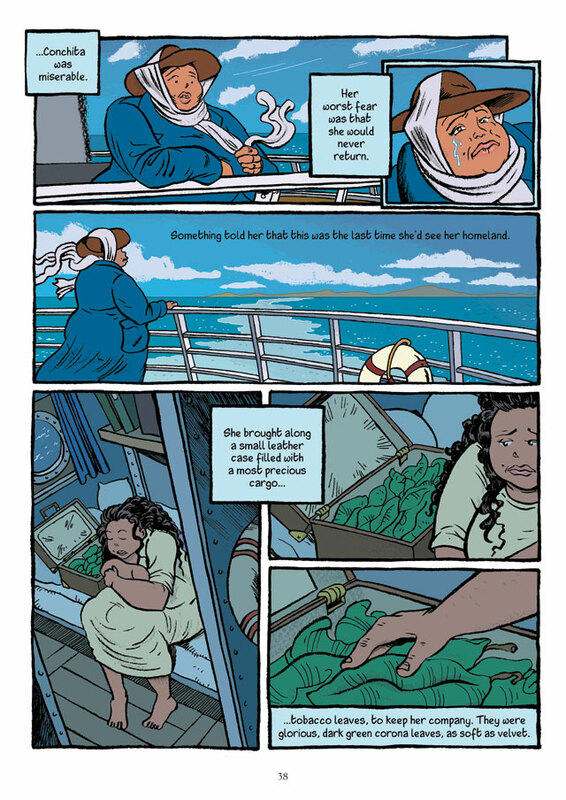 He has been writing and drawing comics and graphic novels for both children and adults for over twenty-five years. 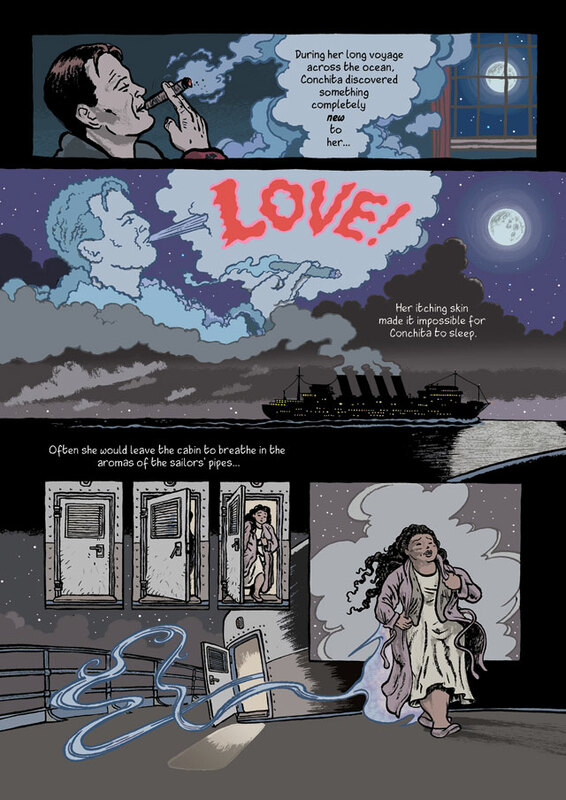 His work has appeared in numerous books, newspapers, magazines and other periodicals around the world and he has been honoured with various international storytelling awards, including an Eisner for his 2007 graphic novel Laika. He also works as a publishing consultant and visual facilitator for corporate businesses and as a speaker on visual communication. He lives in Brooklyn, New York, with his wife and daughter. Author, translator, editor and documentary filmmaker, David Camus was born in 1970 in Grasse, France. His literary career began in 2005 with his award-winning historical series The Book of the Cross, which has since seen publication in seven languages. His many translations include his award-winning work on H.P. Lovecraft's 'Dreamcycle' – his work in this area has been hailed as "definitive". He is currently retranslating all of Lovecraft’s work into French and teaches Science Fiction, Fantasy and Horror Literature at the University of Paris III La Sorbonne Nouvelle. He lives in Paris, France, with his wife and two daughters. "Like a fine cigar, rich, heady and ultimately irresistible." 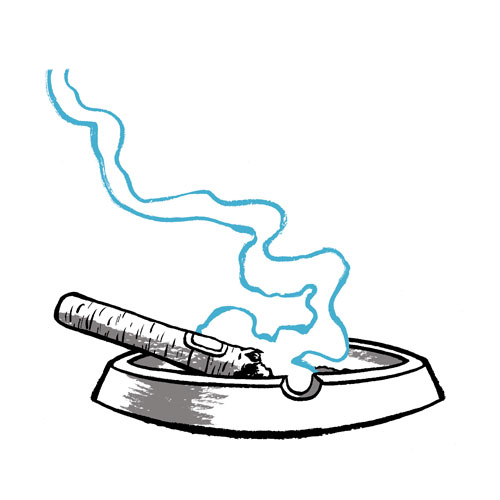 "[The Cigar that Fell in Love with a Pipe] will engulf you in a hazy Hollywood daydream."